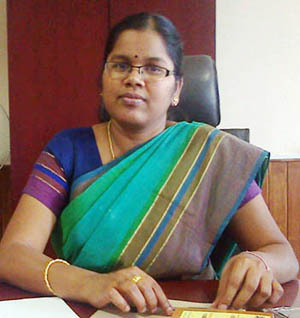 Udupi, May 12, 2015 : Udupi Zilla Panchayat Chief Executive Officer M Kanagavalli has directed the Executive Officers of the Udupi, Karkala and Kundapur Taluk Panchayats to make arrangements for water supply to areas facing water shortage in their respective panchayat limits. The ZP CEO gave the above instructions during a meeting with the executive officers to review the drinking water supply situation. She said 31 gram panchayats including 21 in Udupi taluk, eight in Kundapur taluk and two in Karkala taluk faced water shortage. Kanagavalli has also informed that the water scarcity this year was not as grave as last year when nearly 64 gram panchayats faced problems.